World serves its own needs, don't mis-serve your own needs. Speed it up a notch, speed, grunt, no strength. The ladder starts to clatter with fear of fight, down height. In a government for hire and a combat site. Look at that low plane! Fine, then. But it'll do. Save yourself, serve yourself. Tell me with the rapture and the rev-'rent in the right, right. Another new story of mine appears in "The Weight of Words", edited by Dave McKean and William Schafer, and published by Subterranean Press. The consummate artistry of Dave McKean has permeated popular culture for more than thirty years. His images, at once bizarre, beautiful, and instantly recognizable, have graced an impressive array of books, CDs, graphic novels, and films. 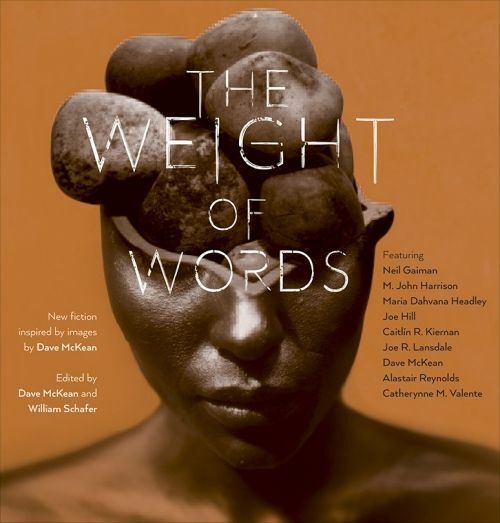 In The Weight of Words, ten of our finest contemporary storytellers, among them the artist himself, have created a series of varied, compelling narratives, each inspired by one of McKean’s extraordinary paintings. The result is a unique collaborative effort in which words and pictures enhance and illuminate each other on page after page. Like the other authors, I was sent a portfolio of Dave McKean's phenomenal and unsettling images to examine and hopefully be inspired by, and one in particular leapt out at me and immediately suggested both a story and a setting. My piece, Belladonna Nights, is set in the same distant future as House of Suns, and also features Campion from that novel. For me it was deeply enjoyable to re-immerse myself in that universe and explore some of the more arcane traditions of the Lines. I had been thinking about Campion long before I caught him leaving the flowers at my door. It was the custom of Mimosa Line to admit witnesses to our reunions. Across the thousand nights of our celebration a few dozen guests would mingle with us, sharing in the uploading of our consensus memories, the individual experiences gathered during our two-hundred thousand year circuits of the galaxy. They had arrived from deepest space, their ships sharing the same crowded orbits as our own nine hundred and ninety nine vessels. Some were members of other Lines—there were Jurtinas, Marcellins and Torquatas—while others were representatives of some of the more established planetary and stellar cultures. There were ambassadors of the Centaurs, Redeemers and the Canopus Sodality. There were also Machine People in attendance, ours being one of the few Lines that maintained cordial ties with the robots of the Monoceros Ring. And there was Campion, sole representative of Gentian Line, one of the oldest in the Commonality. Gentian Line went all the way back to the Golden Hour, back to the first thousand years of the human spacefaring era. Campion was a popular guest, always on someone or other’s arm. It helped that he was naturally at ease among strangers, with a ready smile and an easy, affable manner—full of his own stories, but equally willing to lean back and listen to ours, nodding and laughing in all the right places. He had adopted a slight, unassuming anatomy, with an open, friendly face and a head of tight curls that lent him a guileless, boyish appearance. His clothes and tastes were never ostentatious, and he mingled as effortlessly with the other guests as he did with the members of our Line. He seemed infinitely approachable, ready to talk to anyone. 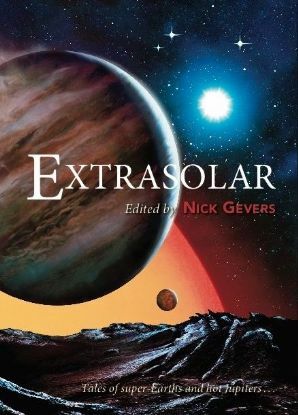 I'm very pleased to have a new short story in this excellent-sounding new anthology featuring a fine line-up of writers, edited by Nick Gevers. Recent reading included five autobiographical books with a common background in medicine. I found them all equally compelling and fascinating. Two of the authors are now deceased. Full disclosure: I first encountered Paul Kalanithi's book as part of the reading for the 2016 Royal Society science book prize. 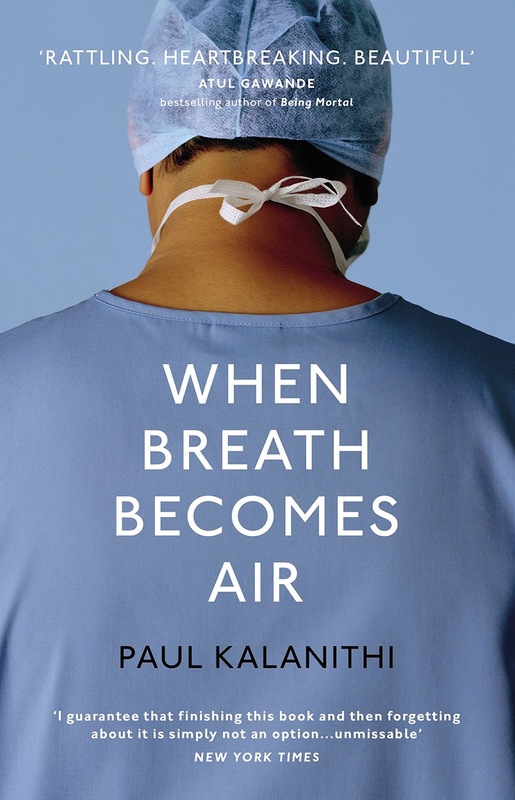 Although the book wasn't one of those to make the final shortlist, I still found it to be a powerful and affecting piece of literature, not least because Kalanithi did not live to complete his own manuscript. On the basis of this book, he would have been a very gifted medical communicator, writing engagingly and lucidly about his chosen profession of neurosurgery. What makes the account striking and perhaps unique is that the still-young Kalanithi was himself diagnosed with lung cancer, the diagnosis, treatment and eventual outcome of which is treated with unflinching honesty. It's commonplace to talk about the courage of cancer patients, and perhaps not always helpful, but when Kalinithi eventually returns to the gruelling demands of neurosurgery, it's hard not to feel admiration at his mental and physical fortitude, knowing full well the likely progression of his disease. The book was eventually completed by his wife, Lucy Goddard Kalanithi. Henry Marsh is a brain surgeon who has achieved a modest degree of celebrity thanks to television appearances. His two memoirs, published over the last few years, document the ups and downs of his career and his transition - sometimes uneasy - to a life of somewhat discontented retirement. Along the way he works to assist neurosurgical colleagues in the Ukraine and Nepal, not always with entirely positive results. 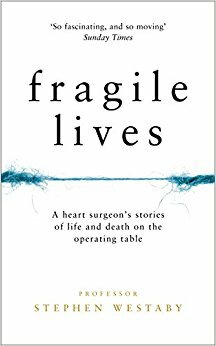 Throughout the memoirs, Marsh is tormented by difficult ethical considerations, constantly balancing the risks of surgery against the likely outcomes and the anticipated quality of life. 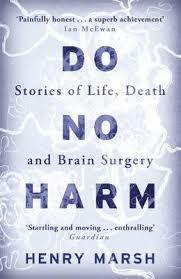 Near the end of the second book, Admissions, Marsh makes an impassioned case for right-to-die legislation. 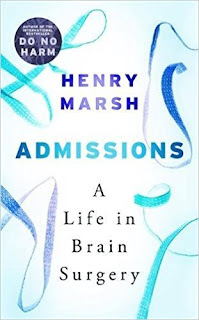 It makes for uncomfortable and challenging reading, but few professionals will have been confronted with the actualities of end-of-life care and mortality as often as a brain surgeon, and it is hard not to be swayed by Marsh's case. 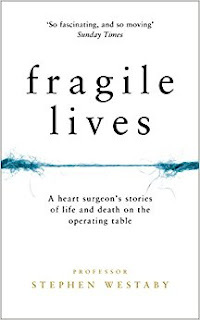 Westaby is a heart surgeon and a friend of Henry Marsh, and despite their rather different backgrounds, there's a distinct similarity of tone and surgical methodology running through the writings of both authors. They have each come up through the NHS in the last forty years; both bear witness to the triumphs and failures of that organisation; both seem at times to be righteously enraged by the slow accretion of bureaucracy and privatisation, choking and fragmenting the very institution they both served and loved. Both surgeons seem driven to form a personal, human connection with their patients, over-joyed when procedures work well, intensely saddened and troubled when the outcomes are not as positive. They are about as far from the image of the cold, detached physician as it is possible to imagine. I adored the writings of Oliver Sacks - I read almost all of his popular books - but found this autobiography almost too painful to approach in the immediate aftermath of his death in 2015. After two years, I felt I could return to it, and it's a glorious capstone to his writings, candid and generous in equal parts. Sacks' life has always been a thread in his medical stories, and if you have read Uncle Tungsten, his earlier autobiographical account of his intense love of chemistry, you will pick up on a certain amount of common ground as Sacks relates his upbringing in a bustling, loving Jewish household in London, surrounded by encouraging parents, devoted aunts and uncles, bright siblings and an environment of intense intellectual stimulation. 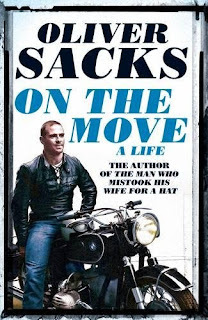 Sacks moved to North America to pursue his interests, and the early chapters of the book - illuminated by his long, discursive diary entries and letters home - are a colourful snapshot of a time now past, during which Sacks indulged his deep fascination with motor bikes and champion weightlifting, while finding his way in the gay communities of the early nineteen sixties. Along the way, we revisit the fascinating and tragic story of the post-encephelitic patients, recounted in the book Awakenings, and the Robin Williams film of the same name. Sacks was clearly impressed with Williams's depth of engagement in the part, achieving an chameleon-like mimicry of both the patients (thanks to visits to clinical facilities) and Sacks himself, whose mannerisms Williams began to imitate in an almost subconscious fashion. At the time of the film I assumed that Williams bore no resemblance to the real Sacks, but period photos put me right: the casting was uncanny.